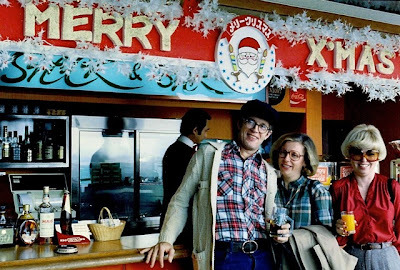 John, Nancy and Peggy were also teachers in Misawa, Japan for the Department of Defense, and we travelled together over Christmas break in 1979. The tour covered several countries and cities - Hong Kong being the last. Most of the tour group became ill with the flu in Hong Kong and were confined to the hotel. I was fortunate and did not get sick, so I wandered the city alone for a couple of days. 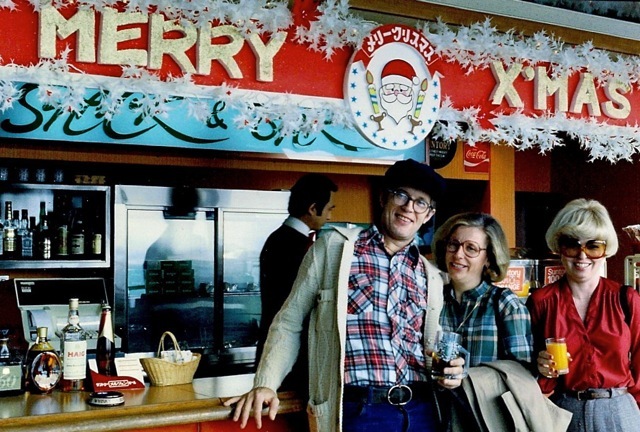 John and Nancy were married and were a real hoot. 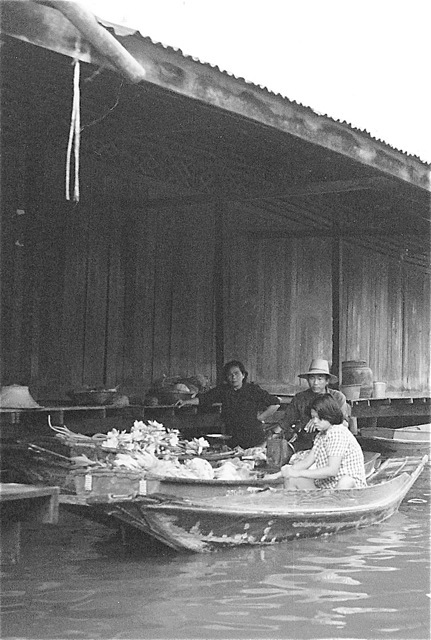 They had an agreement that either could purchase whatever they desired on a trip, but whatever it was they had to carry it. John would see Nancy admiring something and would not so subtly remind her that she had to "carry her own brass lamps." It is a phrase that I now use whenever I go on trips with my sister. We each have to "carry our own brass lamps." 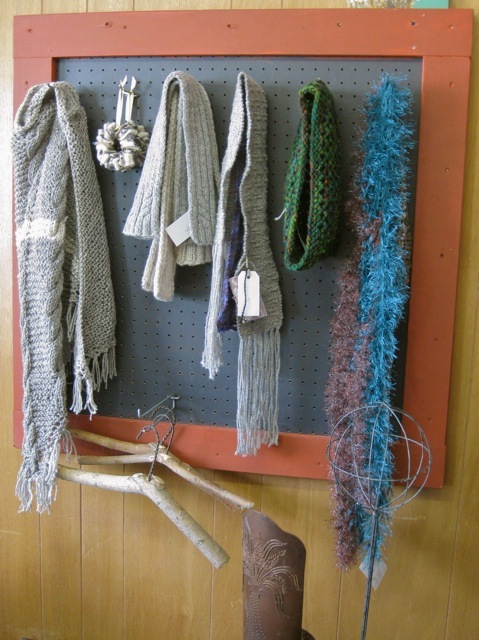 October's Fiber Guild meeting was held at Anita's shop in Dubois, WY. 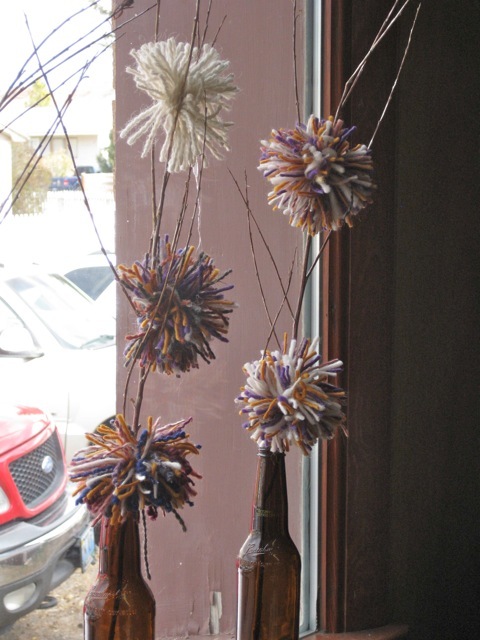 She had some interesting displays and craft ideas. a fun and interesting display on the window sills. 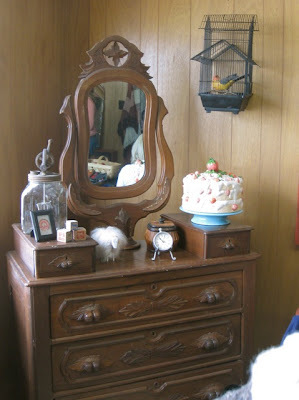 Isn't this dresser beautiful. I loved the drawer pulls. 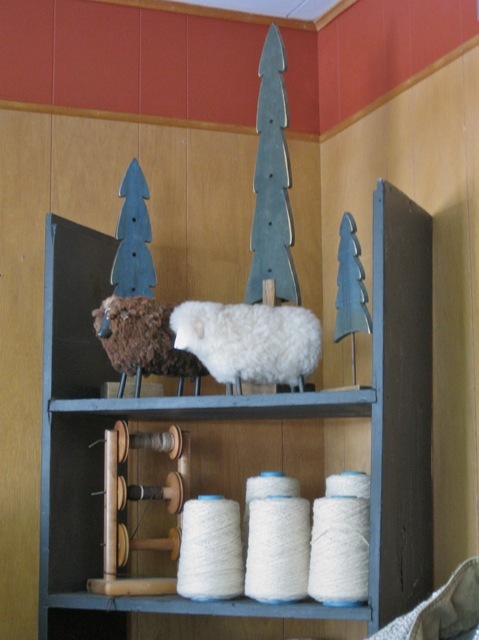 Simple trees and fluffy sheep add a holiday accent. 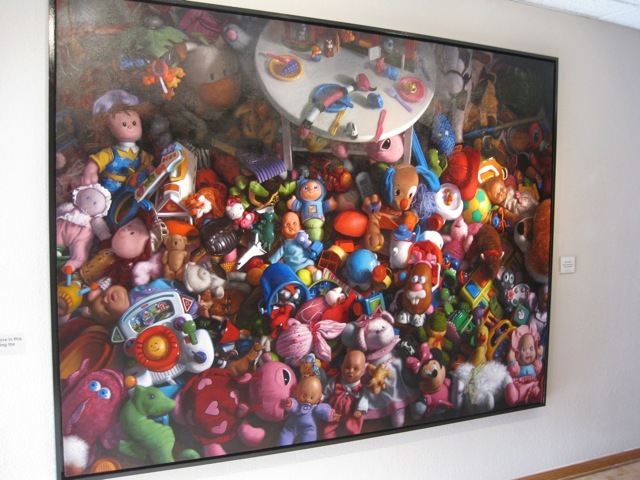 I could have spent hours examining this fun painting at the Nicolaysen in early October. It was amazing and filled with so many interesting details and objects. 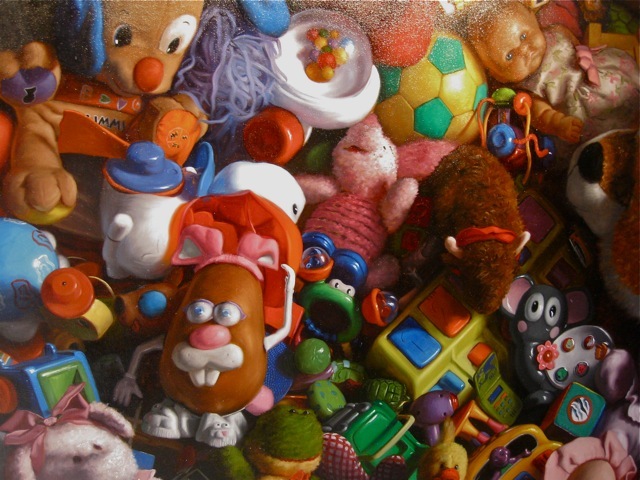 The painting was difficult to photograph because the sun was streaming through the windows to the left and the display lighting created a glare. 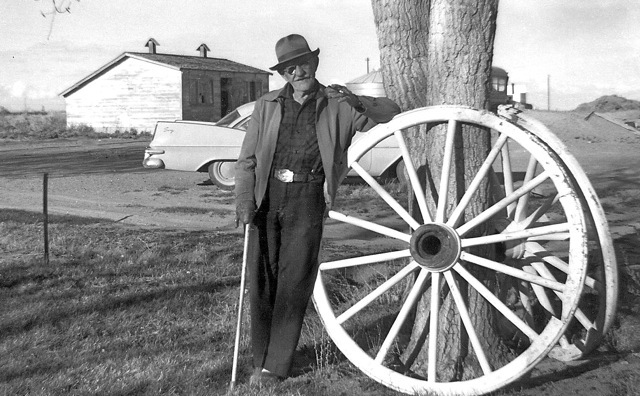 Grandpa Eberle was the only grandparent I knew, and he was a character. He did not like having his photo taken and would often run from the camera, which is why I cherish these two photos taken when he came to Wyoming for an extended stay. He smoked cigarettes with a cigaretter holder, which he is holding in his left hand. 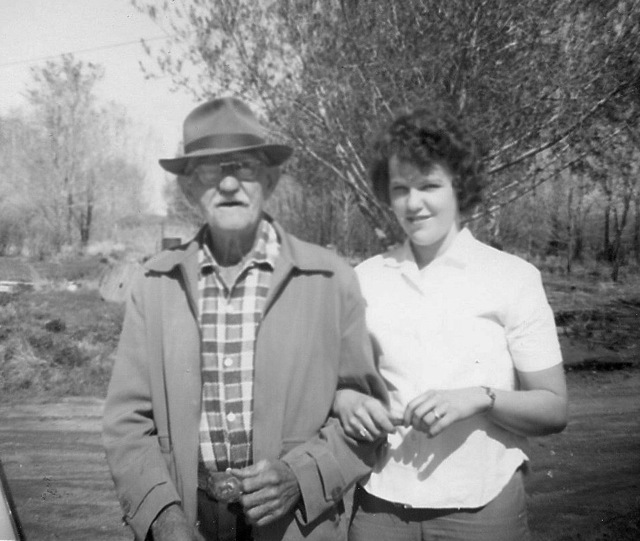 Grandpa Eberle loved to play canasta, but he couldn't always be trusted: he sometimes passed cards under the table to his partner. Grandpa also loved to play the Mill Game. He was born in Grosliebenthol, Bessarabia (southern Russia) in 1877 and died in Edgemont, South Dakota in 1962 at the age of 85. He immigrated to America with his wife and young family (3 1/2 year old Emily, 1 1/2 year old Margaret, and a baby Otto in the womb) in 1906. Grandpa Eberle homesteaded in South Dakota in 1911 and became a US citizen in 1921. 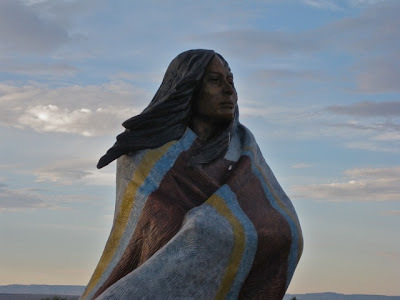 I celebrated Thanksgiving in Denver with my sister and her family. Before the trip, I had one sock knit just past the gusset, and fortunately I had some quality knitting time on the way to Denver because I caught a ride with my nephew and his family. On Wednesday's drive, I was able to knit until the sun slipped behind the Rockies. I also knit on Thanksgiving Day and Friday evening and grafted the toes before midnight on Friday. I slipped the socks on Marilyn's feet while she tacked the binding on one of her most recent quilts and snapped a photo with her iPad. 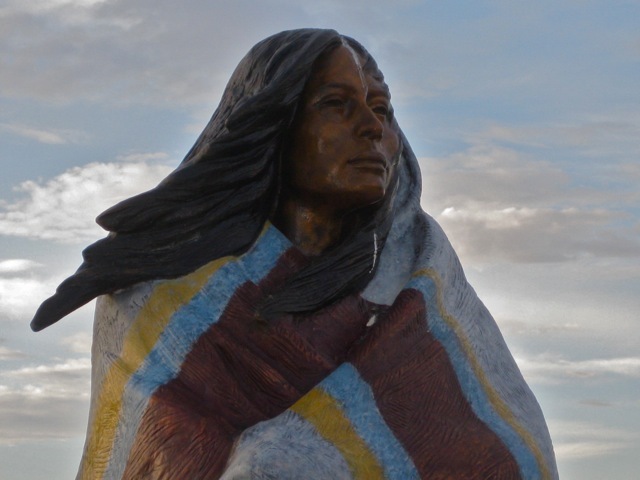 Marilyn, thank you for the invitation to celebrate the holiday with your family. I had a great time. Today is Thanksgiving in the United States, and families are gathering to celebrate their blessings. Even though many have suffered from wild fires, hurricanes and other natural disasters, and health-related issues, they have much for which to be thankful. What's on your top five list? Another all garter stitch blanket. My section is on the left. 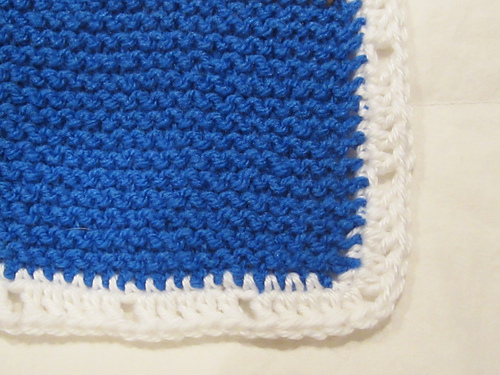 I used some scraps to complement the first section, shown on the right. This sculpture on the Central Wyoming College campus always speaks to me. I like how the sculpture's mood changes to reflect its surroundings. I am having a lot of fun knitting with Kathy's scrap yarn. 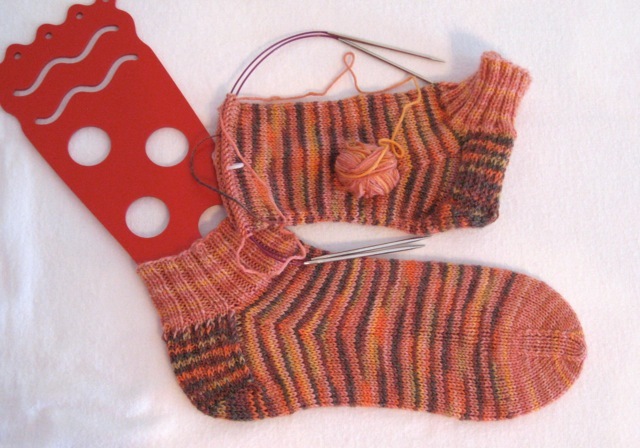 The body of the sock was knit with two yarns, alternating every two rows. 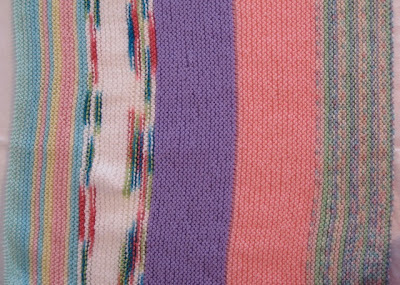 Knit on size 2 needles with 56 stitches - women's size 9/10. 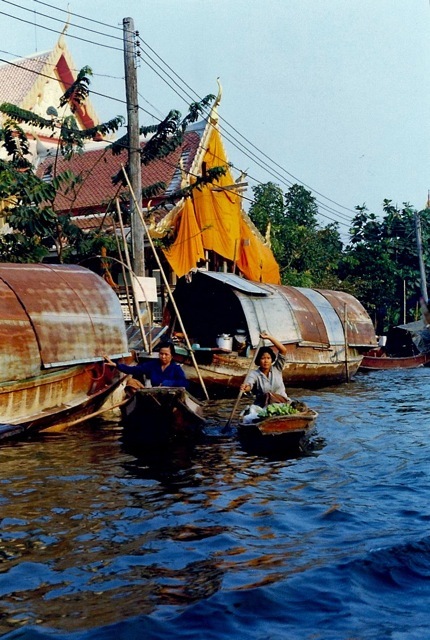 Note the temple in the background with the river entrance covered in bright orange/gold cloth. This earlier post has more photos of the temple. 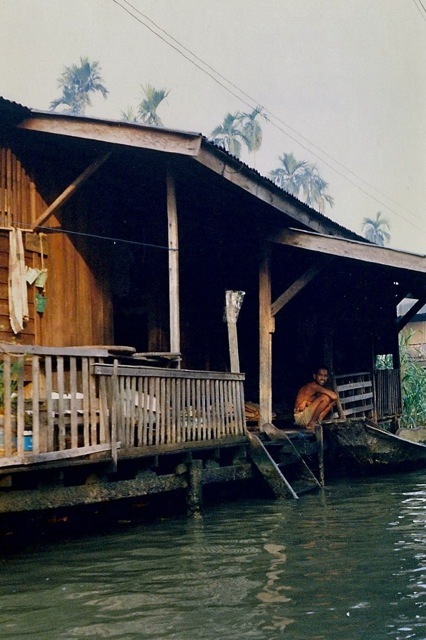 While the river looks pretty in this photo, it was actually quite polluted. 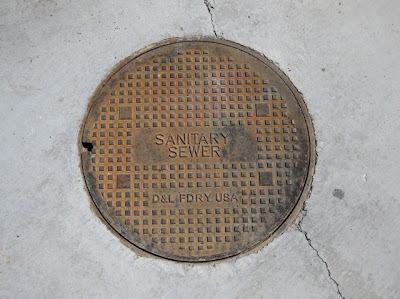 My eye is often drawn to the unusual and obscure, and when I spotted this manhole cover in front of a sandwich shop on the way to Reno, I snapped a quick photo. All of the manhole covers in my town are stamped "Sewer." 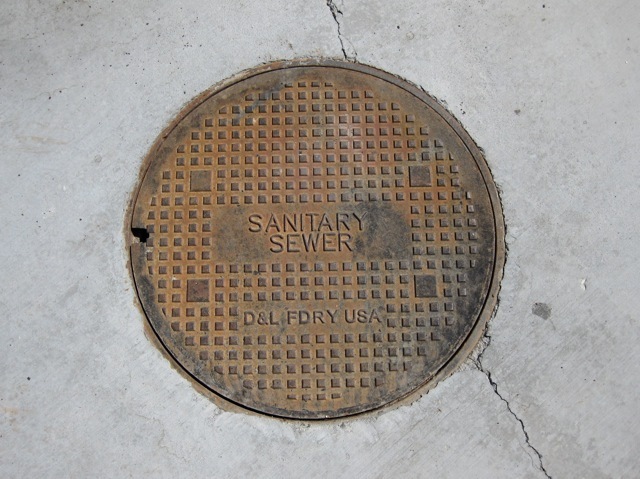 Clearly, the term "Sanitary Sewer" is an oxymoron, but what is the intended meaning? Curious readers can find out here. What's stamped on the manhole covers in your town? 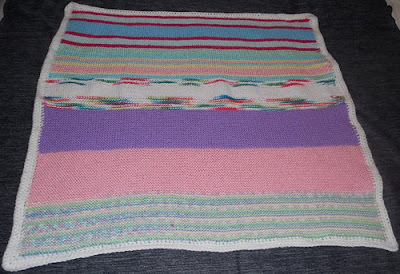 This blanket was started using Around the World's empty needles and is ready to travel to five more Oddball knitters. 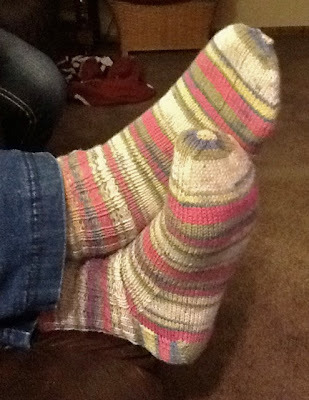 I finished another pair of socks, using Kathy's scrap sock yarn. 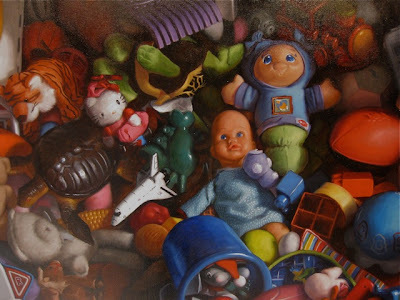 The first pair can be seen here. 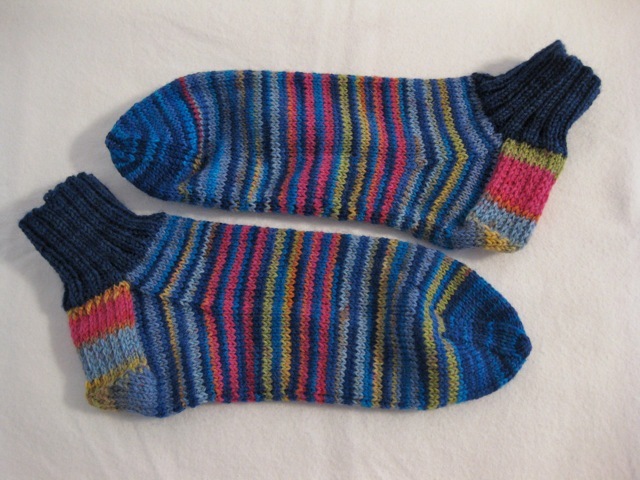 This pair surprised me by being nearly identical even though they are knit with three different yarns. 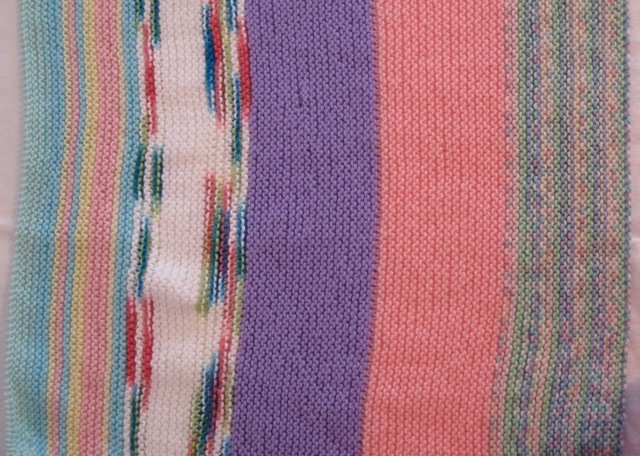 Knit on size 2 circular needles and alternating yarns every two rows. 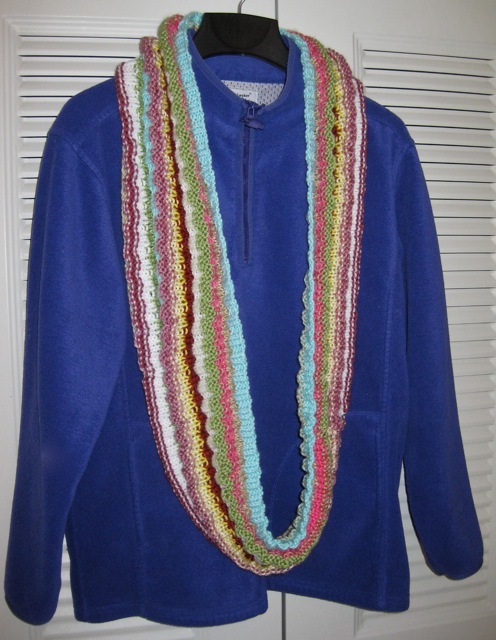 No doubt you have heard, "I don't have time to knit" from your friends as many times as I have. Like me, you probably try to knit while watching TV or in a waiting room; thus, using time that would normally have been wasted. Still our friends insist that they don't have time to pick up their needles. Clever inventors have created the means for those individuals to knit with minimal effort. 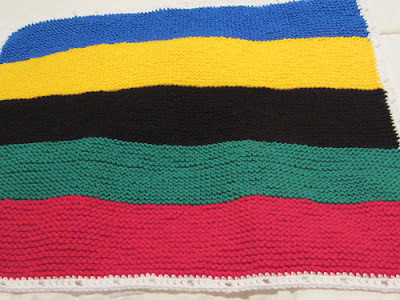 Now those who want to relax and read the evening paper before dinner can actually knit a few rows to a stocking hat. (Note the red object about the man's head. As he rocks, the chair knits a stocking hat.) A video demonstration can be seen here. 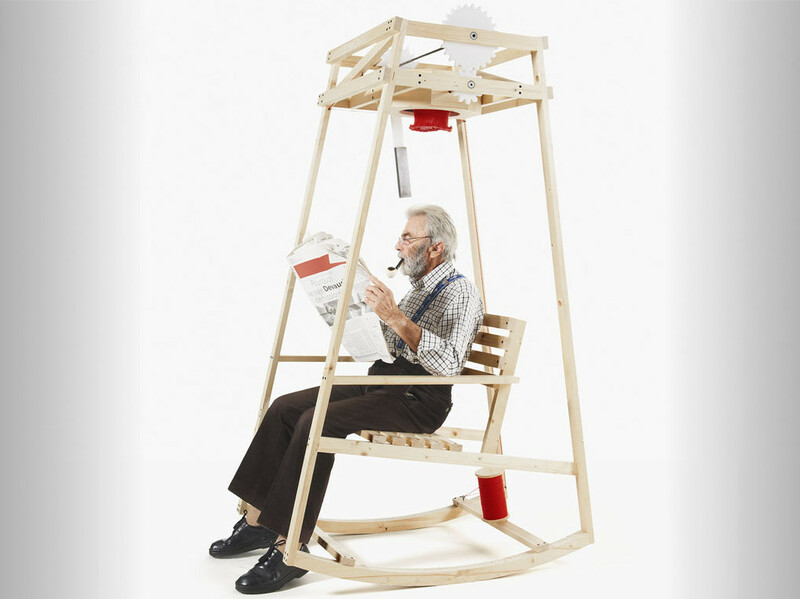 For those whose day simply doesn't have enough hours to squeeze in some knitting time, this clock might be the solution. However, even the clock has its limits and knits only one stitch an hour. 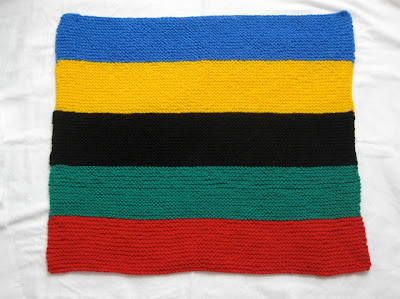 Clearly, knitting can be done by those who have motivation to create: accept no excuses. The colors represent the Olympic rings. The Management should have thought a bit more about the wording of this sign. The restroom contained a single stool with no partition, so ladies who did not press the button on the back of the door would be exposed to the hallway and other guests, creating an embarrassing situation for everyone. 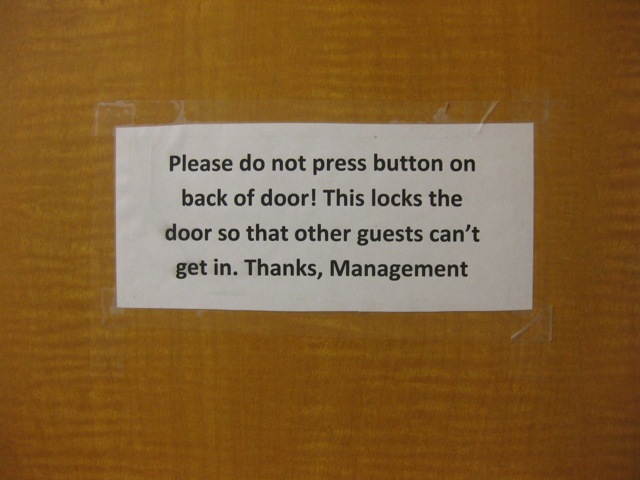 The sign should have read something like this: "Please do not press the button on the back of the door when you EXIT. This action will lock the door so that other guests can't get in. Thanks, Management"
My basket of scrap yarn has been over-flowing with odd bits of Caron Simply Soft from Oddball knitting. I needed to find a project that would utilize some of the yarn and help me to find the bottom of the basket. 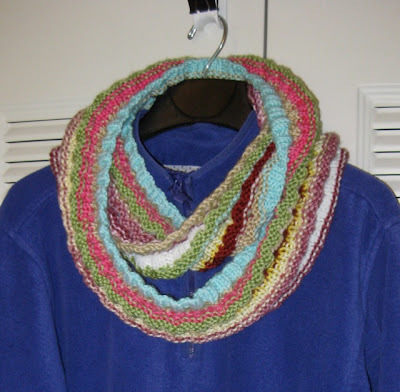 When I saw this free cowl pattern, I knew it would put a sizeable dent in the pile of scrap yarn. I was not disappointed. 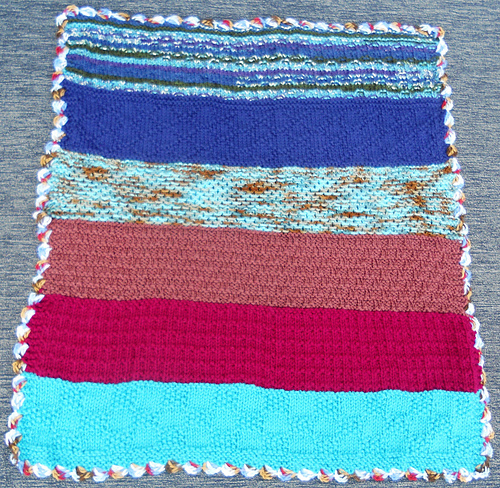 The arrangement of stitches makes an interesting texture and is reversible. 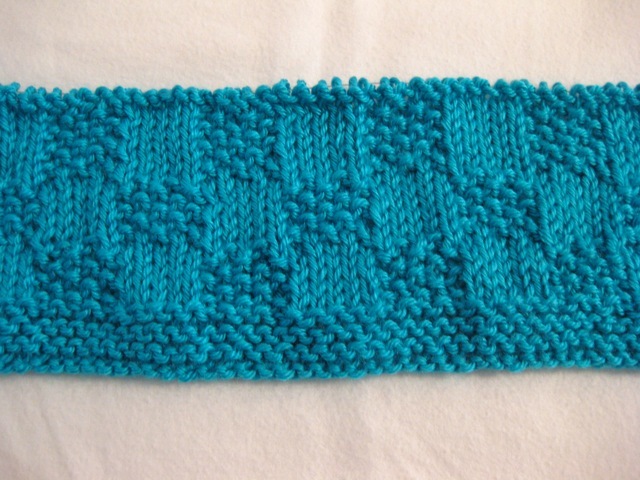 The pattern calls for four repeats, but I only knit three because I did not want the cowl to be too bulky. 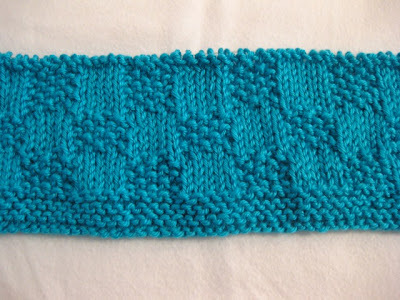 I'll definitely make another cowl from this pattern.